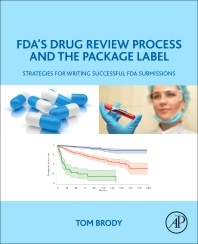 FDA's Drug Review Process and the Package Label provides guidance to pharmaceutical companies for writing FDA-submissions, such as the NDA, BLA, Clinical Study Reports, and Investigator's Brochures. The book provides guidance to medical writers for drafting FDA-submissions in a way more likely to persuade FDA reviewers to grant approval of the drug. In detail, the book reproduces data on efficacy and safety from one hundred different FDA-submissions (NDAs, BLAs). The book reproduces comments and complaints from FDA reviewers regarding data that are fragmentary, ambiguous, or that detract from the drug's approvability, and the book reveals how sponsors overcame FDA's concerns and how sponsors succeeded in persuading FDA to grant approval of the drug. The book uses the most reliable and comprehensive source of information available for writing FDA-submissions, namely text and data from NDAs and BLAs, as published on FDA's website. The source material for writing this book included about 80,000 pages from FDA's Medical Reviews, FDA's Clinical Pharmacology Reviews, and FDA's Pharmacology Reviews, from one hundred different NDAs or BLAs for one hundred different drugs. Each chapter focuses on a different section of the package label, e.g., the Dosage and Administration section or the Drug Interactions section, and demonstrates how the sponsor's data supported that section of the package label. 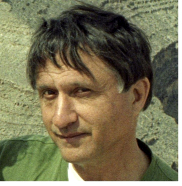 Dr. Tom Brody received his PhD from the University of California at Berkeley in 1980, and conducted postdoctoral research at University of Wisconsin-Madison and also at U.C. Berkeley. His 20 research publications concern the metabolism and pharmacology of folates, cloning an anti-cancer gene (XPE gene), and the structure of an antibody (natalizumab) used for treating multiple sclerosis. The author has 15 years of pharmaceutical industry experience, acquired at Schering-Plough, Cerus Corporation, and Elan Pharmaceuticals, and has contributed to FDA submissions for the indications of multiple sclerosis, melanoma, head and neck cancer, liver cancer, pancreatic cancer, and hepatitis C. At an earlier time, he wrote two editions of Clinical Trials, published by Elsevier, Inc. The author has 16 years of training and experience in the Code of Federal regulations, as it applies to pharmaceuticals and clinical trial design.